TRAC’s Type 9c (Low Ride) Kawasaki Mule and 2no trailers provide a convenient solution for transportation of personnel and equipment to work sites. It can access the rail from any location. The Mule operates a 4 wheel drive system ensuring all round traction for accessing the track. It is capable of accessing, travelling and working under LIVE OLE. The RRV operator can also act as the machine controller, reducing the cost of additional staff. The Host RRV has a tare weight of 1000kgs and is capable of carrying 4 persons plus tools up to 500kgs. 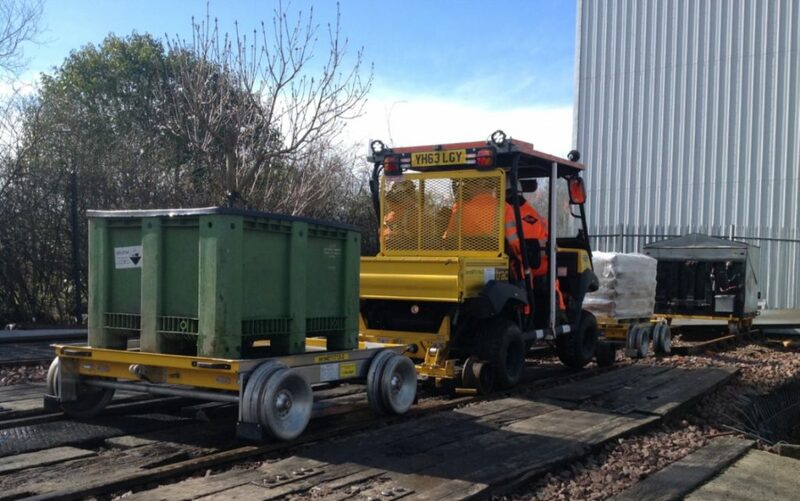 Each rail trailer weighs 67kgs and can be lifted manually by 2no persons onto the track. Each rail trailer has a maximum payload of 933kg.